"It could be argued that If I Stay required no sequel, but Where She Went should silence any naysayers as Gayle Forman has skilfully added to her original story to the point where it's hard to imagine one without the other"
oh, yes! brilliantly worded. i agree exactly. it's almost as if this book is an extended epilogue to IIS. Oh, what a beautifully written review. I must admit to certainly being sceptical about there being a sequel, but your review certainly makes me want to read this even more now. If I Stay was certainly a wonderful read, wasn't it? 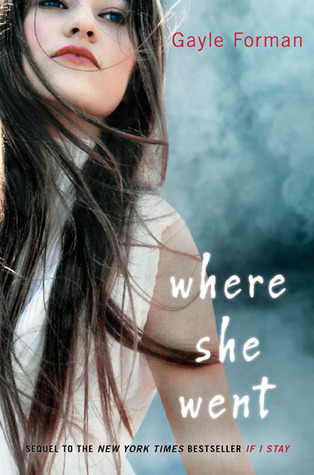 I'm so glad Where she Went proved to be just as beautiful of a read. What a beautiful review for a really beautiful little book.